A few months back, one of my watch buddies suggested I follow a newish profile on Instagram. The handle is @doobooloo and he seemed to come out of nowhere; turbocharged by his breathtaking timepieces and heavenly photography. I also heard chirpings that doobooloo’s wife had an Instagram account... She goes by @watchbirder and rides shotgun with her own high-octane wristwear. 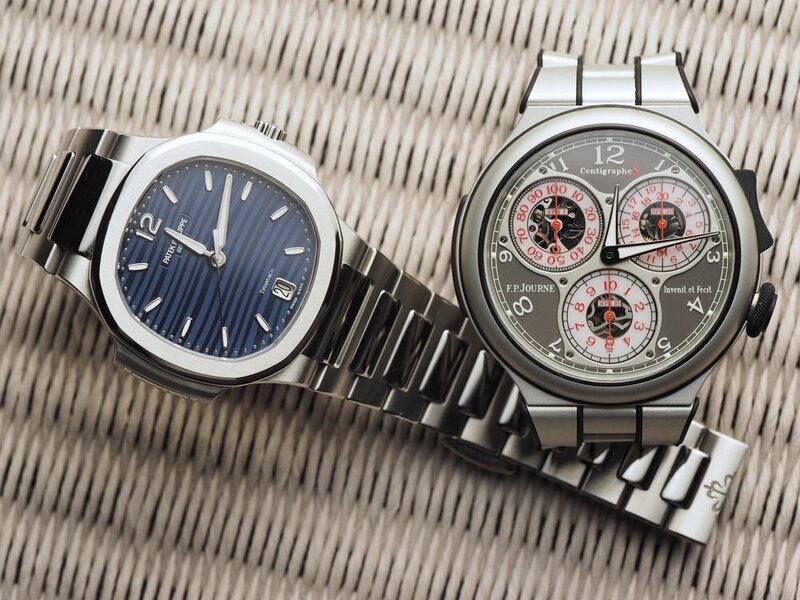 How many watch buffs do you know that have two Instagram accounts - one for their watch addict persona - another for an audience of close friends and family? There's a reason we sometimes elect to keep these two worlds separate: To an outsider, a watch collector might appear as someone who places too high an emphasis on material possessions. The opportunity doesn’t always present itself, to explain to coworkers and relatives, the reasons why we find watches so fascinating: That we’re blown away by the old world techhniques meet modern technology or that we can be awestruck by the nuances of a dial. Watchbirder says “doobooloo deserves all the credit for making [her] respect watches.” But before doobooloo became the proud owner of some of the most revered independent brands, such as Dufour, Voutilainen, and F.P. Journe, he said he was “against purchasing [watches] due to the not-so-subtle connotations of conspicuous consumption associated with them...” Despite being grounded and having his priorities in order, the notion that perception is oftentimes mistaken for reality kept doobooloo from buying watches. After being hesitant for a long time to buy watches, doobooloo finally came around to the idea. He warmed up to watches partly because he discovered an aesthetic that kept him “under the radar, where the watch doesn't look like much unless seen by another watch geek.” Another important reason why felt comfortable embracing watch collecting - no matter what anyone else might think - was that he was fortunate to get to know the people who dreamt up the designs, as well as hang out with those who collect these "micro mechanical machines." But I believe the biggest reason why doobooloo is at peace with his decision to collect watches has do with it being a hobby he shares with his wife. And while their tastes might differ: Watchbirder leaning "towards more masculine, sport watches whereas doobooloo prefers more classic, softer designs," they both will agree that watches have allowed them to experience a newfound togetherness with each other. Watchbirder says, “we know that if a material thing drives us we will feel a sense of emptiness… so we talk to each other to make sure that what makes our lives meaningful and productive is not [watches], but love." The love they have is strong; made even stronger by watches.